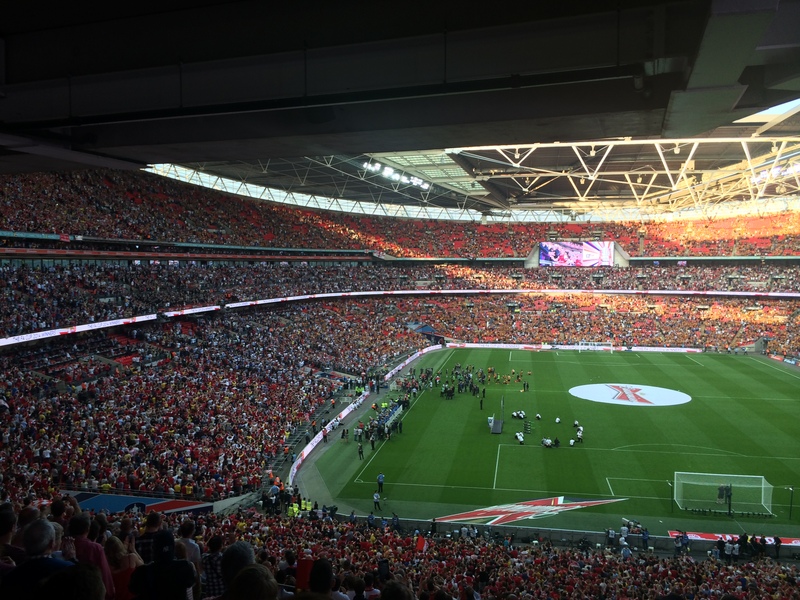 Yesterday’s FA Cup final reminded me what football is all about – not the politics or boardroom intrigue, nor the business wheeling and dealing. Football is about the players and the fans, their passion and determination. As I travelled to and from Wembley crushed together on the Metropolitan Line amid a sea of folk in amber and black or red and white, I saw their eager anticipation, followed later by the great joy of victory, the resigned courage of defeat, and the genuine happiness of just being at a cup final. For Arsenal, victory has brought a long awaited return of silverware to their trophy cabinet. For Hull, despite losing 3-2 after being ahead 2-0, they had the excitement of their first ever appearance in an FA Cup Final. As Premiership sides, both clubs joined the competition in January’s third round proper to get to today’s finals. In total though 737 clubs have participated in the 2013-14 campaign starting with the extra preliminary round in August last year, including some classic giant-killing clashes along the way. And that is what makes the FA Cup so very special. The opportunity it allows teams at every level of the game to battle it through to meet the ‘big boys’ of the Football League and Premier League and, in some cases, beat them. Throughout the 885 games in this season’s FA Cup competition it has been the tactics, the skill, the sheer endurance of twenty two players over 90 (or in yesterday’s case almost 130) minutes that made it so attractive, especially as ultimately there must be a winner, be it after a replay, extra time or penalties. The joy of knock-out competitions is that there is everything to play for and there are rarely guaranteed victors and games frequently see surprise results. The glory of the Premiership and the Champions League – and the huge spoils available to their participants – may have put the FA Cup, once the pinnacle of English football, in the shade. I remain convinced however that the FA Cup remains the greatest club knock-out competition in football and the joyful faces of the fans said that loud and clear to me on this cup final day. Long may it continue. One further thought from the Cup Final, and a very positive one, was how wonderfully diverse the crowd was at Wembley, especially amongst the Arsenal fans. People of all ethnicities, of differing social backgrounds, and with a much improved gender balance were visible in a well behaved and cheerful audience for the match. As a champion of equality and inclusion in football, that made me very happy. ← Sexism in Football: Scudamore apology ‘insincere’ and ‘unsustainable’ – is his position now untenable?